It's been quite a few years since I owned any GHD's... I remember the devastation when they just wouldn't turn on, I eventually got some Babyliss hair straighteners to replace them but they were never quite the same. By afternoon my head would be insanely wavy. I'm sure there's pairs that compare to GHD but these particular ones just didn't. They soon broke too. I was in Newcastle and they worked fine, I then boarded a flight, got to Turkey and they wouldn't heat up. So, I was more than thrilled to find these under the tree at Christmas, these absolute beauts. Going 2 months without any I really thought I wouldn't cope, but I did, in fact I've only used these 4 times since getting them, my hair is in such better condition because of it. With every purchase of the GHD V Coral Styler £10 goes to breakthrough beast cancer - It was worthy of a purchase for that alone. This particular pair are from the Limited Edition Bird of Paradise collection, which sadly, seems to be no longer available. They had various shades and you maybe able to have a Google and find some still available, searches from both Very and Look Fantastic came up nil. 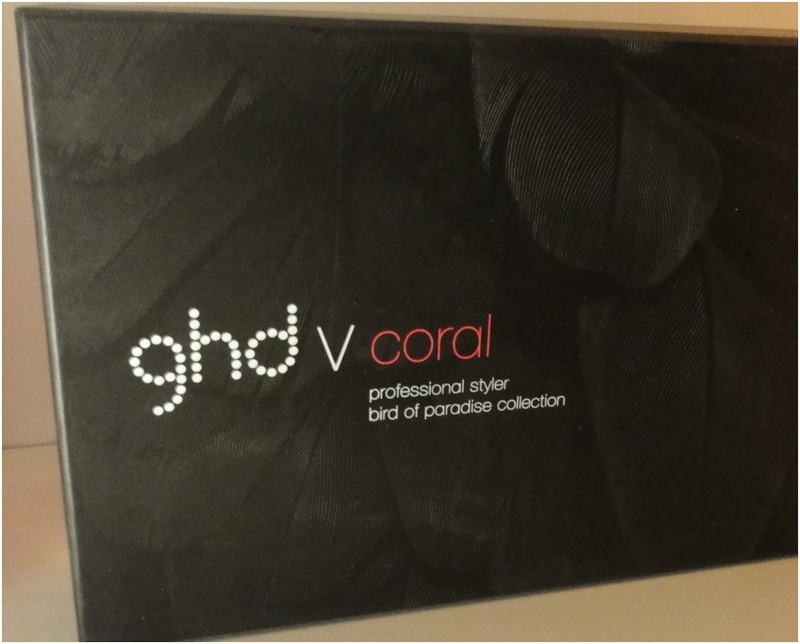 The box is just as beautiful as the straighteners themselves, with a beautiful feathered ombre effect imprinted on it, which match the GHD's perfectly. Inside the box came a heat resistant mat that again matches the shades of the straighteners. 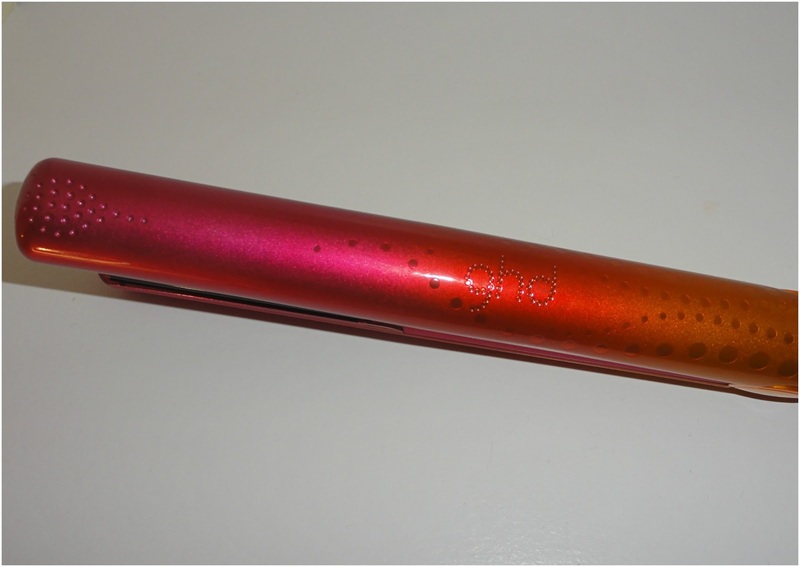 When I saw photo's of these I knew I was on to a real winner, they were the most beautiful hair straighteners I'd ever seen, probably the best from GHD. I almost waited until my birthday (25th of March). Good job my old ones did break else these wouldn't of been around to buy and I would of been gutted. The V Coral name suits it perfectly, it's like looking at an evening sunset somewhere tropical. It really does have the most beautiful ombre effect I've ever seen. And they also glisten in certain lights. These GHD's straighten to perfection with their built in ceramic heat technology. They also have a sleep function that turns them off after 30 minutes, which will give many forgetful people a peace of mind. I don't have very thick hair, and my hair is going on naturally straight anyways, but these are perfect for the occasional touch up on those bad hair days and it takes minutes. My sisters got the thickest hair I've ever seen and she's got the same ones in a different shade and they work wonders. I can't get how quickly they heat up, seconds, it even makes a little sound once fully heated. I use to be able to curl my hair using my old GHD's not sure if these are the same but I can't wait to give it ago. I've been wondering whether it's worth investing in GHDs for a while now, the sleep function has pretty much swung my decision, I'm always in a panic over whether I've left my straighteners on or not!